Giant panda lovers can visit these fascinating creatures at four zoos in the United States. The zoos have active breeding programs and offspring are born, although sometimes these delicate babies don't survive. 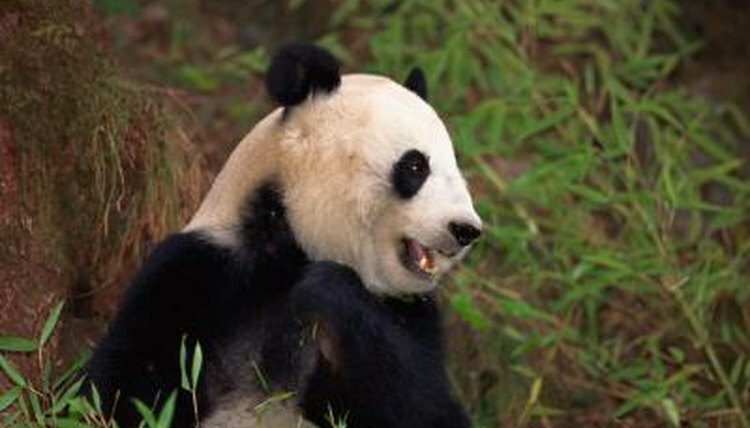 Other giant pandas are on loan from the Chinese government for specified periods. The number of pandas in captivity in the United States fluctuates. In 2013, there were just more than a dozen. Giant pandas currently live at the National Zoo in Washington, D.C.; Zoo Atlanta in Atlanta, Georgia; the San Diego Zoo in San Diego, California; and the Memphis Zoo in Memphis, Tennessee. These zoos participate in the Giant Panda Species Survival Plan, overseen by the U.S. Fish and Wildlife Service. The number of giant pandas in captivity in the United States as of September 2013 was 12 adult or adolescent animals and three newborn cubs. As of September 2013, the National Zoo giant panda population consisted of Mei Xiang and Tian Tian and their newborn cub. Lun Lun, Yang Yang and their son Xi Lan reside at Zoo Atlanta, as does Poe. Lun Lun gave birth to male twins in July 2013. Bai Yung and Gao Gao live at the San Diego Zoo, along with their sons Yun Zi and Xiao Liwu. Ya Ya and Le Le live at the Memphis Zoo. What Is the Panda's Gestational Period?